« Do You Fall for a “Pretty” Marketing Face, too? Here is a fun date night idea. Its fairly cheap but promises to be an awesome opportunity to just focus on each other. 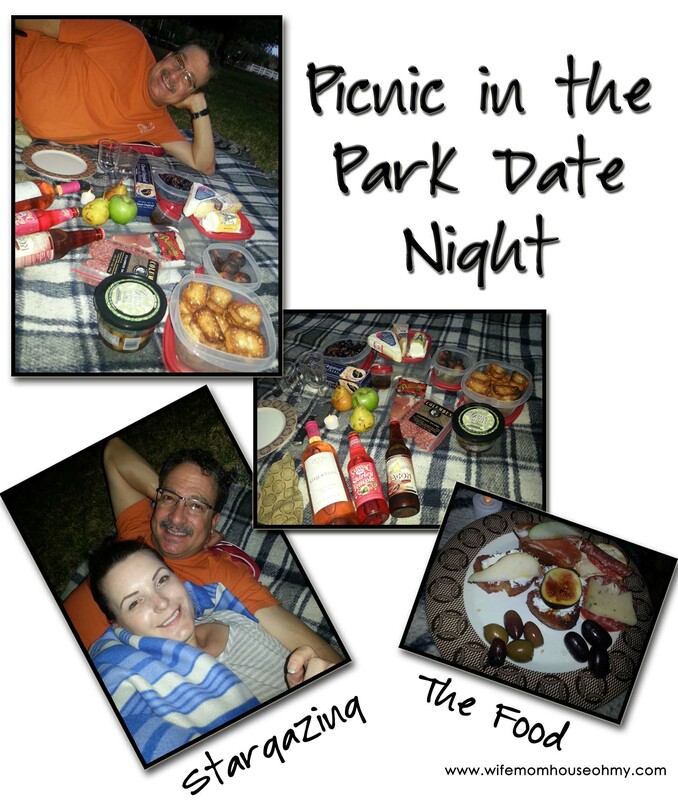 Before sunset, head to a park (with lighting if possible) and enjoy a secluded picnic. Here’s how my hubby and I did it. I packed a “snack” style dinner picnic basket. It included three cheeses, salami, prosciutto, olives, crackers, fresh figs, homemade crostini, grapes, apple, pears, honey, and our drinks which included Stella Rose Pink Wine, Old Fashion Shirley Temple and hubby’s “Chocolate Covered, Maple Smoked, Bacon Soda”. (P.S. That one was all his!) I used a gift card we had received to buy most of the more gourmet items because as I said in my New England Clam Chowder post I am a foodie and so is my hubby. However, you can substitute anything already in your fridge and pantry. Don’t have salami or prosciutto, then opt for lunch meats or things that can do double duty. It does not have to be expensive, just hearty as it will be a meal. Then we drove to a local park just before sunset. We made sure it was well lit as we would be there after dark. We also made sure we were pretty secluded from everyone else. It made it feel as if we were all alone, no one to bother us, and could just enjoy each other’s company. If you have a huge backyard with an area where the kids won’t see you, you can also enjoy this in the comfort of your backyard. My previous home in North Carolina had 20 acres so that would have been a no brainer but my current So Cal backyard looks like a postage stamp in comparison so not really an option here. Laid out the blanket and then I assembled his plate of goodies for him. You can see what I prepared in the photo. What I loved about it was not only that it feed our foodie side but as finger foods there was not that big of a mess to worry about. Easy clean up = check! Part of the fun was pairing all the different ingredients to see what our favorites were. We watched the sunset, talked LOTS, stared at stars, and goofed around with the funny settings for photos on my phone. It was romantic. It was goofy. It was us time. And being in a park, it was also rated G for sure. However, what was important was we were focusing on each other. And for me, it was super easy to pull off. Give it a try. Who knows what goofy, fun things you and your sweetie might come up with to entertain yourself.